This beautiful couple helps our ministry in so many ways. Bruce is our House Leader at the Nampa Facility. He demonstrates a strong, kind spirit and leads with integrity. He and Carrie care for and mentor the men in our homes with a deep love and compassion. 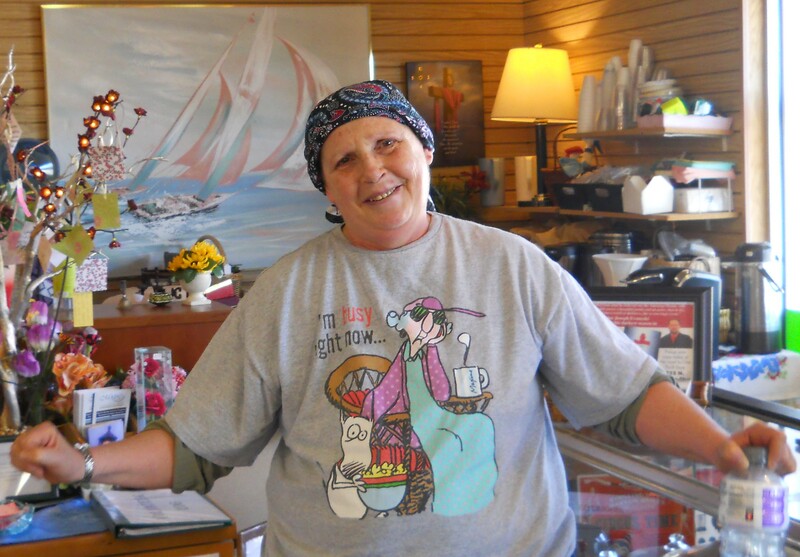 Often, Carrie volunteers at the Community Center helping customers at the register and filling the store with her sweet spirit. 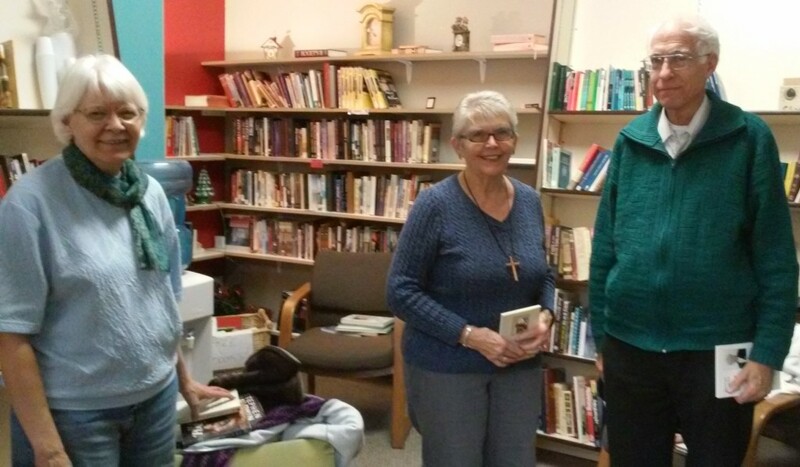 Sue (center) & Tom and Mary Ellen caught conspiring in the Book Room. Tom and Mary Ellen worked tirelessly in this little room for 3 months to prepare it for Sue to take over (see entire story on our Blog, February 3, 2017). Sue continues to come in several times during the week to keep the books organized and also update the displays for the upcoming holidays. She also helps with customers and blesses all who have the privilege of meeting her. Often, people will sit in the Book Room and visit with her, sharing their faith and prayer requests. These are precious people!!! 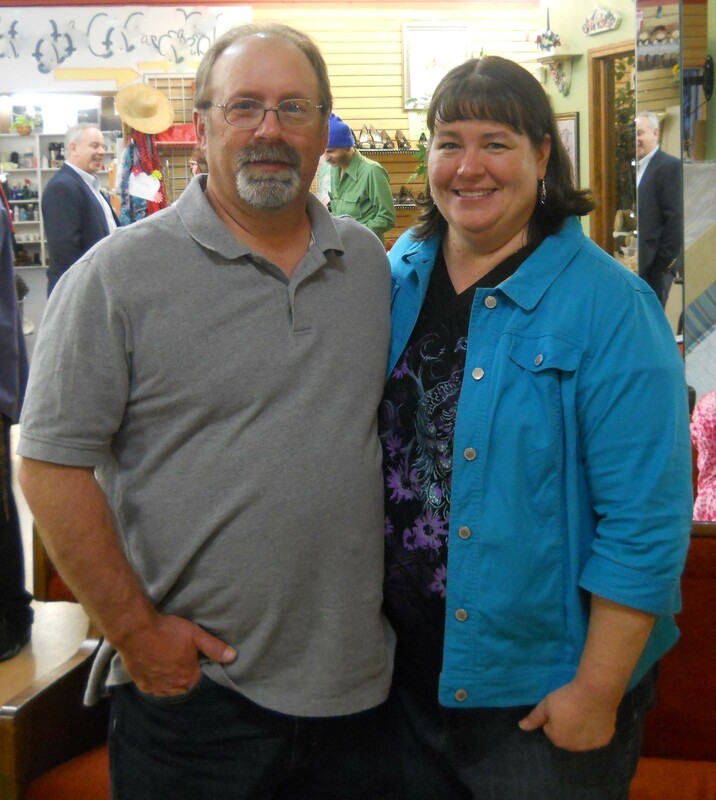 Our sweet Debbie happened upon our store one day after she moved to Idaho. That same day, she asked if she could volunteer doing anything. Of course! Since then, she comes in twice a week to polish the store and help Sue in the Book Room. We love her gentle, loving spirit and her servant’s heart! Jola gifted our ministry with the beautiful flowers that decorate our front entrance. 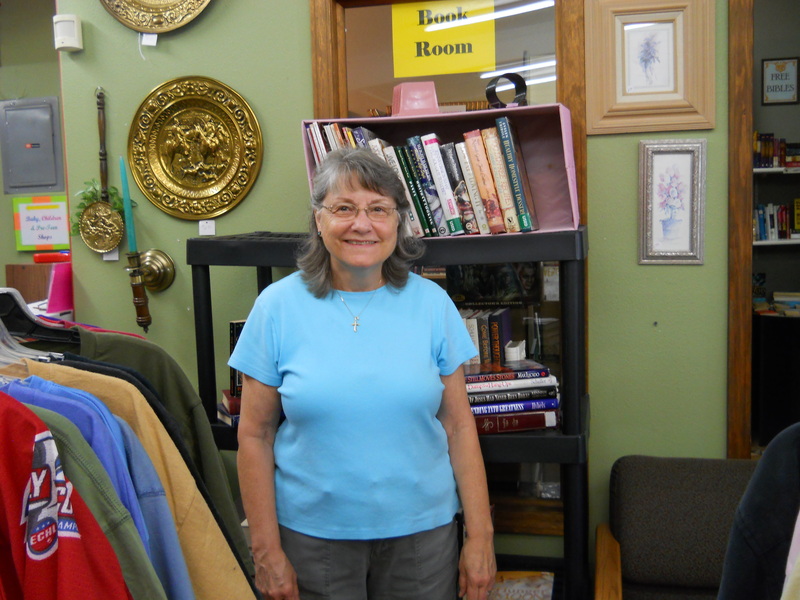 She comes in the Community Center often to make the bathroom shine and polish the unique items in the Vintage Room. Her amazing faith and beautiful spirit both inspire and protect all who come in contact with her. She adds so much love to this ministry!